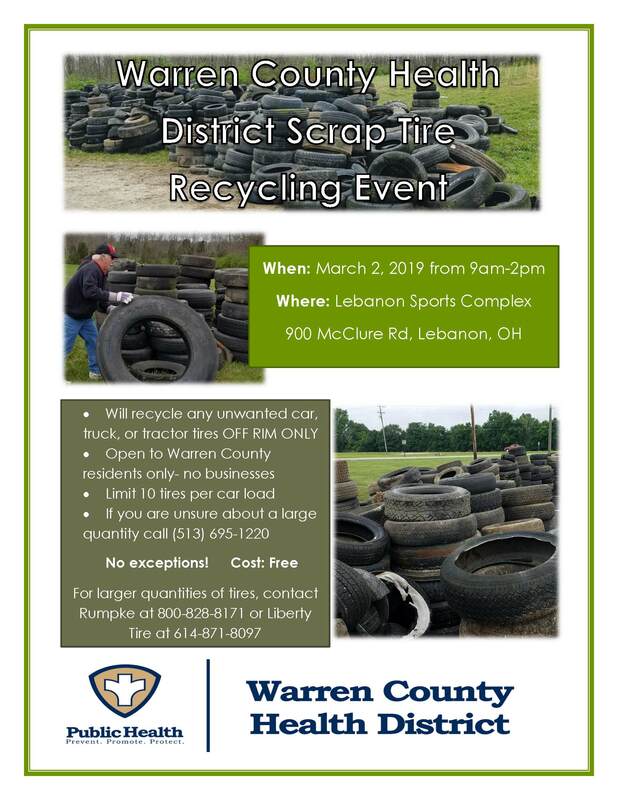 The Warren County Health District will be holding a scrap tire collection event on Saturday March 2, 2019 at the Lebanon Sports Complex. This event is open to all residents of Warren County free of charge. We ask that all tires be removed from the rims. Tires will not be accepted from businesses.